Again! There is something new coming up on October 4. What could that be? The launching of Pixel 2 and Pixel XL2 smartphones by the tech giant, Google. The World is going to receive another launch of an high-end smartphone, this time it is coming from the tech giant, Google. Google has confirmed October 4 to be the event of its upcoming pixel smartphones Pixel 2 and Pixel XL2 precisely. A few days from now, Pixel 2 and Pixel XL2 will be holding their launch event, meaning if you are thinking of changing your smartphone to a higher upgrade, you should wait for the launching of these pixel smartphones. Are you still not convinced? Google Company has created billboards advertising its launch event of Pixel 2 and Pixel XL2 handsets. And also, a newly-introduced teaser campaign landing page is available on Made by Google. This landing page is more of Google Assistant, it does more excessively than you ask of it. The name of this landing page is “Ask more”, and you can access it by visiting madeby.google.com/askmore/. On the page, carries the teasing tagline “Thinking about changing phones?”. Yes, lots of high-end smartphones have been launched within a past few months, especially Apple's launch of iPhone 8, iPhone 8 Plus and the incredible iPhone X, as well as Samsung Galaxy Note 8. But Google wants you to wait until October 4 before deciding on what smartphone device to buy/pre-order. Google has also posted a teaser video both on its YouTube Channel and Twitter page, which is embedded below. The video throws at us, some rhetorical questions. Also, Official invites for the launch event has been sent out by Google, below is the event venue and time. The event will hold at the SFJazz Center, San Francisco. The launch event will begin at 9am PST (San Francisco), 12pm EST (New York), 5pm BST. The event will be available live on the company's YouTube channel. Below is the video teasing the event to be shown live. Of course, rumours will always come, and it is good to know that rumours sometimes provide accurate info. The Pixel 2 and Pixel XL2 smartphones are expected to run on the Android latest 8.0 Oreo Operating System. One of the smartphones is expected to come with an approximate 6.0-inch AMOLED screen size with a 2560 x 1312 resolution. expected to feature the Snapdragon 835 chipset, 4GB RAM, 64GB or 128GB internal storage space. Just like Apple’s new flagship smartphones, Google Pixel 2 and Pixel XL2 is expected to be launched in two variants, though they will come in 64GB and 128GB configurations. Google Pixel 2 is rumoured to start its price at US$649 ( £649, AU$1,079) for the 64GB variant, and US$749 (£749, AU$1245) for the 128GB variant. For Pixel XL2, the 64GB variant is rumoured to cost US$849 (£849, AU$1353), and US$949 (£949, AU$1518) for the 128GB variant. 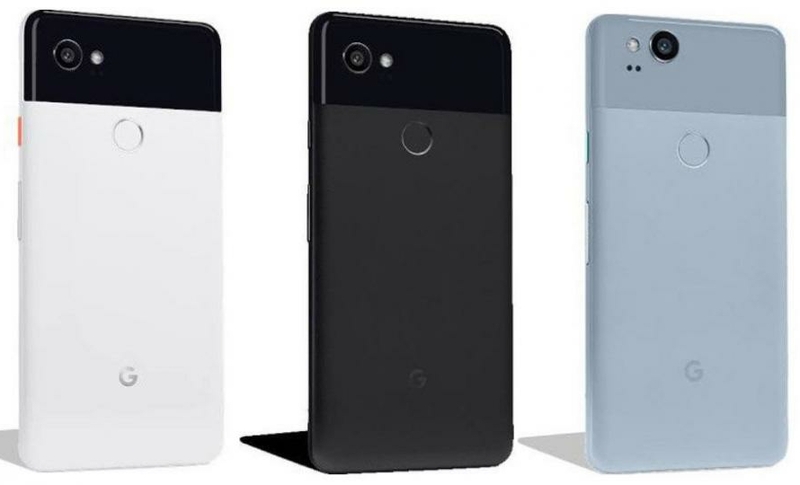 Colours: Both Pixel smartphones will be available in black, white, and kinda blue colours. That will be all for now. I suggest we all should wait for the launch event to commence, definitely, more info on the smartphones will officially be leaked.